In business and blogging, emails are crucial for client communication, networking, scheduling, and reminders. I've always been a folder-loving, color-coding kind of person, but a few months ago my handy folder system wasn't cutting it for keeping up with the number of emails I was receiving on a daily basis. I found myself spending well over 2 hours a day tackling my inbox, and it cut into the time that I needed to be designing client projects and writing blog posts. I dreaded logging into Gmail and I always felt behind and stressed. I knew that in order to stay on top of things (and maintain my sanity), I needed to find some feasible, time-saving solutions to help me keep my inbox under control. Since then, I've implemented 4 things that have transformed my email system and allow me to clear my inbox each day. I have a feeling many of you are overwhelmed by your inbox too, whether you're a full-time creative entrepreneur or a part-time blogger. 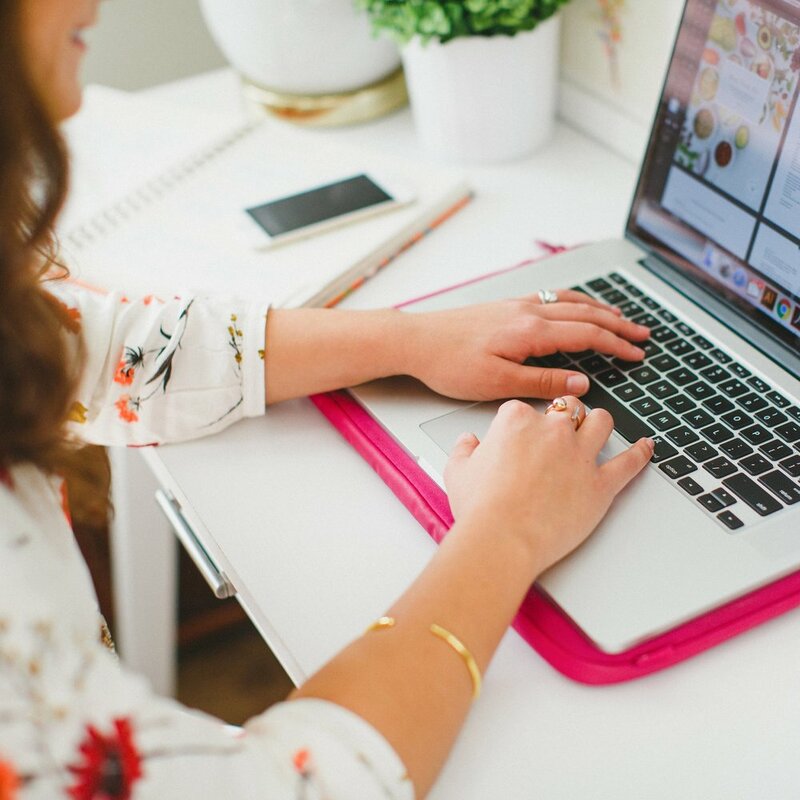 So today I'm sharing the 4 ways that I've found helpful for email in hopes that they might help you get your inbox under control, too. With Boomerang, I'm able to write emails and send them at a later date or time. Because I try my best to abide by my 9:00am to 5:00pm office hours (or at least set my customer and client expectations to that time period), this allows me to tackle some emails after hours and schedule them to send the next morning. I simply write the message like I normally would, click the Send Later button, and use their calendar to choose a date and time that I would like it to send. I had a habit of keeping important emails in my inbox so that I could refer to them later, which meant that my inbox was never completely clear. It also meant that many important emails would easily get buried underneath incoming messages. Boomerang allows you to move emails out of your inbox until a later time with their boomerang feature. Whenever I want to see an email at a later time, I click the Boomerang button in the message window and choose when I would like to see it again. It archives my message and brings it back to my inbox unread, starred, and/or at the top of my message list. Sometimes I'm on a time crunch or a deadline and I need to make sure that I follow up within a certain time period of sending a message, especially with clients. I can set up Boomerang so that it sends me a reminder if no one responds to my email. I don't use this feature quite as often but it's helpful for preventing emails and follow-ups from slipping through the cracks. Boomerang also includes features like response tracking, read receipts, click tracking, and recurring messages. The app is free if you use less than 10 message credits per month, and the next tier plan (which is the one I use) is $4.99. For me, this cost has been totally worth having a well-organized inbox that helps me stay on top client communication! For more information on Boomerang, you can visit their website here. I began to see a trend in many of my emails; a lot of readers and Library subscribers were often asking me the same questions. In order to cut back on the volume of these emails, I created an FAQ page on my website that I link to from my contact page. I included a note next to my contact form asking visitors to look over the FAQs before contacting me, just in case I had already answered their question. This saves them the time of writing an email and waiting for a response, and it saves me from spending time writing the same answer for each one. Win-win. Canned Responses is a free Gmail function that allows you to save a canned email response and use it repeatedly without having to copy and paste the same message from one email to the next. There are many instances throughout my week where I'm sending the same email to different clients and customers, and this tool has saved me a lot of time. I simply create a new message, select the saved response, and it inserts it into the message for me. To add this function to your Gmail account, view these step-by-step instructions. Lastly, Jake offered to take part of the email load for simple questions and inquiries. We created an Elle & Company email address in his name (jake@elleandcompanydesign.com for those of you who want to send him a joke or a question about content marketing or SEO), and now all of the contact forms are sent to him first. He either handles the response for me from his account or he forwards the email over to me if it's a design inquiry or it addresses a specific question. 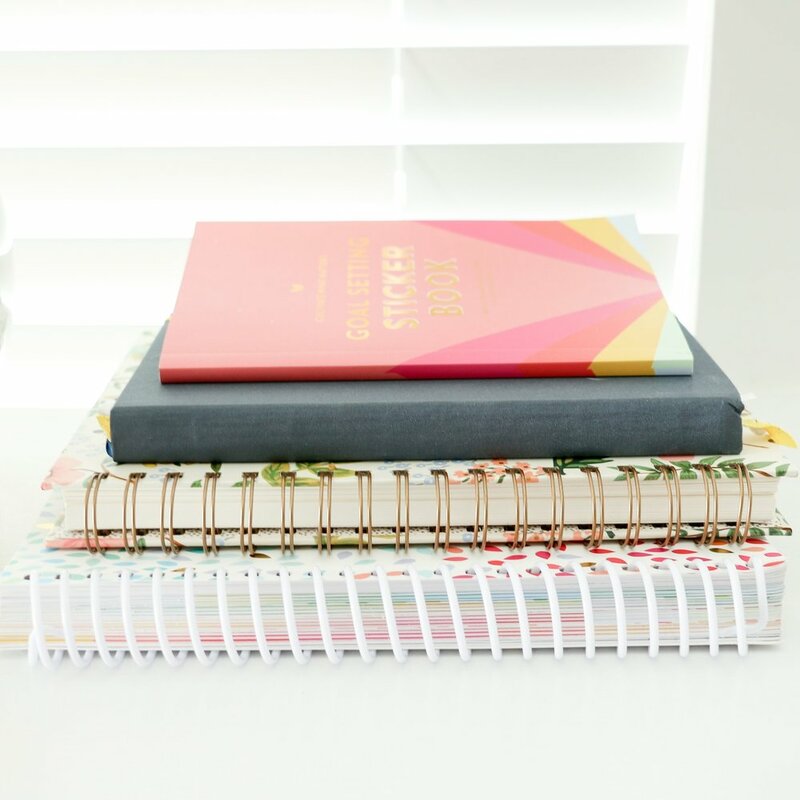 There are still times where I feel slightly overwhelmed by the messages in my inbox, but these 4 resources have been extremely helpful for keeping track of them all! I would love to know what works for you. How do you stay on top of your inbox?